the European Organisation of the Sawmill Industry (EOS) and the European Panel Federation (EPF) supported by the European Confederation of Woodworking Industries (CEI-Bois) and the European Federation of the Parquet Industry (FEP), organised the 1st Club du Bois meeting under the chairwomanship of Mrs Maria Noichl, MEP, on 28th April 2015. 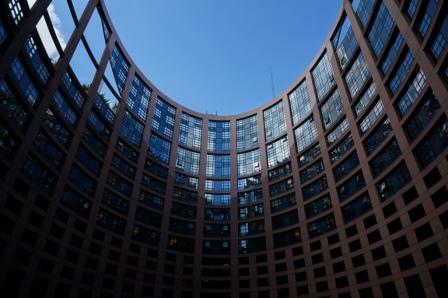 The meeting was held at the European Parliament in Strasbourg. Build More with Wood, in order to boost industry and employment, and to meet the EU’s Climate and Energy goals. These were analysed in the context of EU policy regarding the Circular Economy & Resource Efficiency, Renewable Energy & Climate targets and the Re-Industrialisation of Europe. Approximately 50 people attended the event being industry professionals, federations, stakeholders and the following members of the EU Parliament (MEPs): Mrs Maria Noichl (DE), Mrs Elisabeth Köstinger (AT), Mr Damiano Zoffoli (IT), Mr Brando Benifei (IT), Mrs Sirpa Pietikainen (FI), Mrs Miapetre Kumpula-Natri (FI), Mr Paul Brannen (UK), Mr Edouard Martin (FR), Mr Eric Andrieu (FR), Mrs Anne Sander (FR) - represented by her assistant Mrs Huck. The agenda can be found on the following link. Have a look at the pictures of the meeting in our photo gallery. What is the Club du Bois? Established in 2006 by the European Woodworking Industries, the ‘Club du Bois’ is a cross-party discussion forum aiming to create a sustained dialogue with Members of the European Parliament on all EU legislative issues affecting the sector in Europe. The ‘Club du Bois’ encourages active participation of European Commission and Member State representatives to provide updates and feedback on current and forthcoming issues.